Around the World Part IV: France! Welcome to another installment of Around the World with Newbery and Caldecott Part IV! This post will explore just a few of the wonderful award-winning children’s books of France! This is another preview to my upcoming Back-to-School Literature Soirée. It is just a little over a week away, so if you’re interested, please visit here. As a Francophile since my early 20s, when I spent nearly a year in Paris, I have returned many times to this fascinating country that holds so much of the world’s greatest art, architecture, cuisine, and natural beauty! I love France for all of these things, but also for the pivotal part they played in helped the struggling American colonies to win their fight for independence from Great Britain. 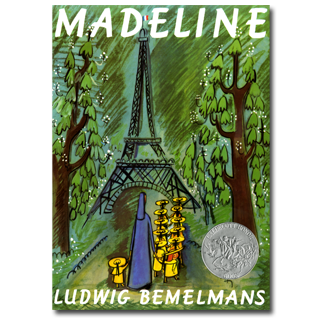 Probably the most well-known and beloved children’s book about Paris is Madeline by Ludwig Bemelmans. Winner of the Caldecott Honor in 1940, Madeline’s Rescue won the Caldecott Medal in 1954. My friend and former professor, Anita Silvey has done a marvelous job of telling the background of these wonderful creations by Bemelmans here. 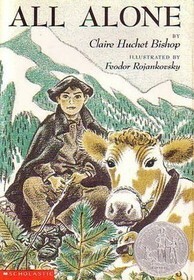 Another author of French tales beloved by American children is Claire Huchet Bishop, a French-born American who is best known for two Newbery Honor titles–All Alone, which tells the story of a French boy who herds cattle in the mountains and befriends a fellow herder in need. His compassion leads to the healing of old rivalries in the village. Pancakes-Paris, which is unfortunately out-of-print, tells the tale of a boy given a box of pancake mix by American GIs after WWII. Set during the same period is Twenty and Ten, the story of French school children hiding Jewish children from the Nazis. 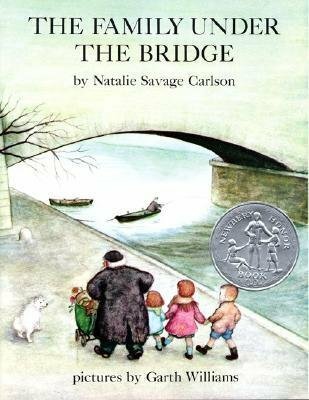 The Family Under the Bridge by Natalie Savage Carlson is the heartwarming story of Armand, a Parisian tramp who wants nothing to do with children. But when three fatherless children “adopt” him, all kinds of adventures happen. Readers will be charmed by the warmth and pathos of this story and by the tender illustrations of Garth Williams who you you will recognize as the beloved illustrator of the Little House on the Prairie series. Winner of the Newbery Honor in 1959. Winner of the Caldecott Medal in 1993, Mirette on the High Wire by Emily Arnold McCully tells the tale of a celebrated tightrope walker and his friendship with young Mirette. 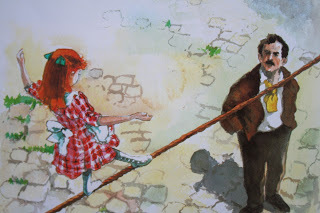 While he teaches the devoted Mirette the art of tightrope walking, he learns some wonderful lessons too. While there are many, many more wonderful titles that I haven’t touched on yet, I will conclude with a title of extraordinary beauty published during the Golden Age of children’s book illustration–the late nineteenth century. 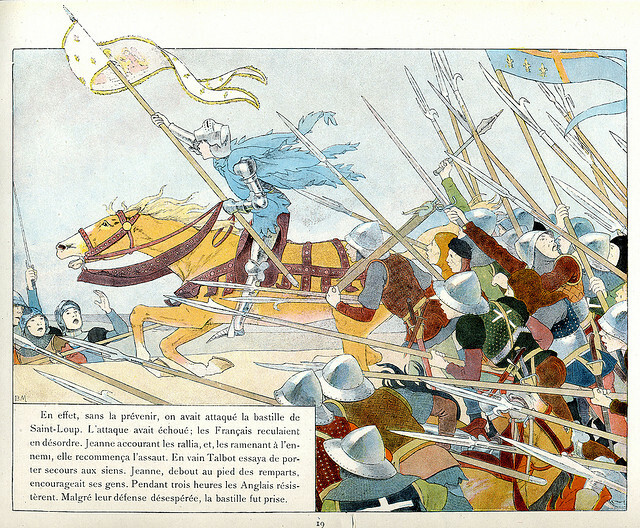 Joan of Arc (1899) by Maurice Boutet de Monvel depicts in grand sweeping panoramas, the life of the devout French maid who led the beleaguered forces of her country to victory over England. The artist’s devotion to the French heroine comes through his watercolor paintings with power and exuberance. I will let the following pictures speak for themselves. There will be lots more like this at my upcoming Rea’s Back-to-School Literature Soirée! Hope you can join us! Our Paris holiday continues, and as the days have been so full, and exacting (I’ve worn through 2 pairs of shoes just walking the incredible stone streets of Paris in 3 1/2 weeks! ), I’ve had little time to blog on some remarkable adventures. I hope to post a few more items this week. 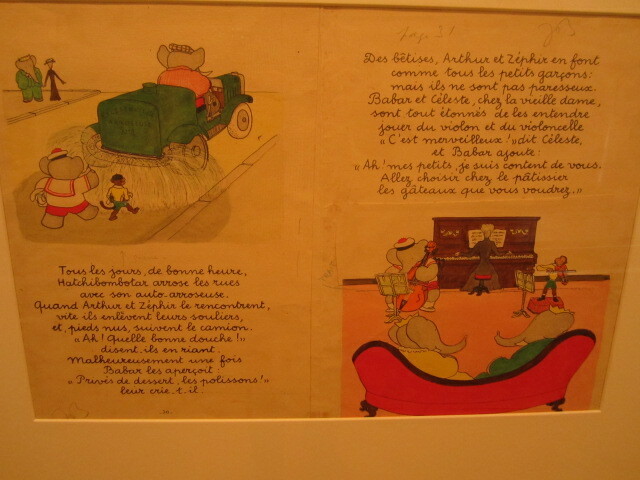 The other day, I discovered that at Musée des Arts Décoratifs (adjacent the Louvre) they were hosting a special exhibit to Babar, in celebration of his 80th birthday! As this blog is devoted to children’s literature in all its aspects, I thought it were be of interest to share what Katie and I learned on our visit. 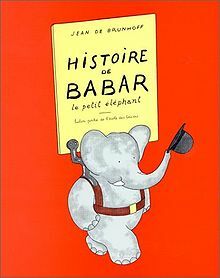 What I didn’t know, was that Babar was actually the creation of Cécile de Brunhoff (wife of Jean), a pianist in Paris, who told her two sons a story of a little elephant whose mother is shot by hunters and moves to Paris. 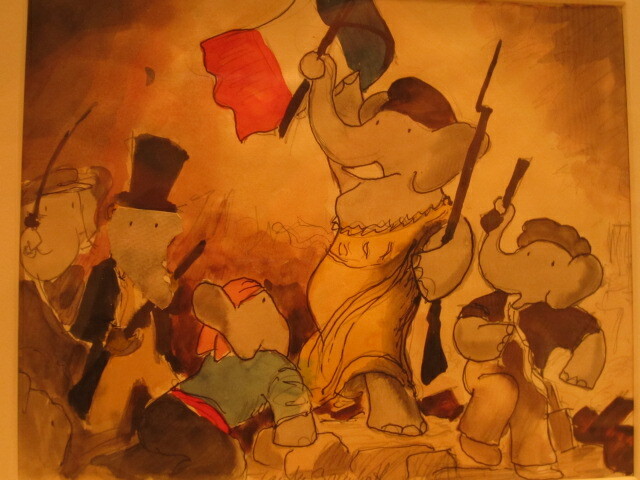 As Jean de Brunhoff was an artist, the boys asked their father to draw pictures of the elephant, and the story was born. Jean de Brunhoff’s uncles were publishers, and decided to print the books on the characteristic heavy stock paper, and in 1931 the books became an immediate success. 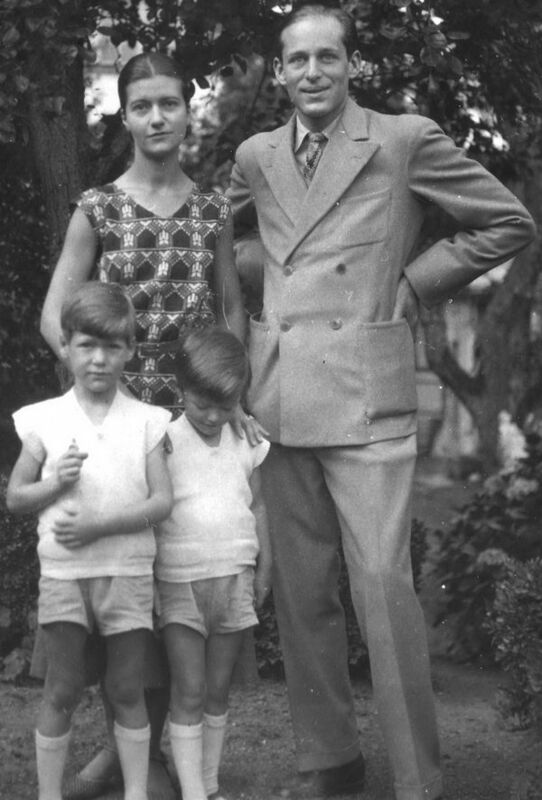 Jean de Brunhoff went on to write 6 more Babar books, but sadly, he died quite young, at the age of 37 of tuberculosis. So it was that his son Laurent, upon becoming an artist himself, decided to continue the marvelous stories of Babar, and he continues to this day. 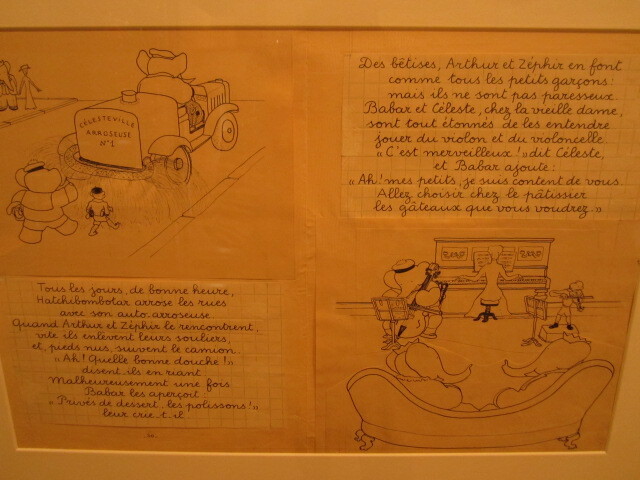 Our visit came full circle when we saw two beautiful illustrations that inserted Babar into the very stream of our cultural experience in Paris. 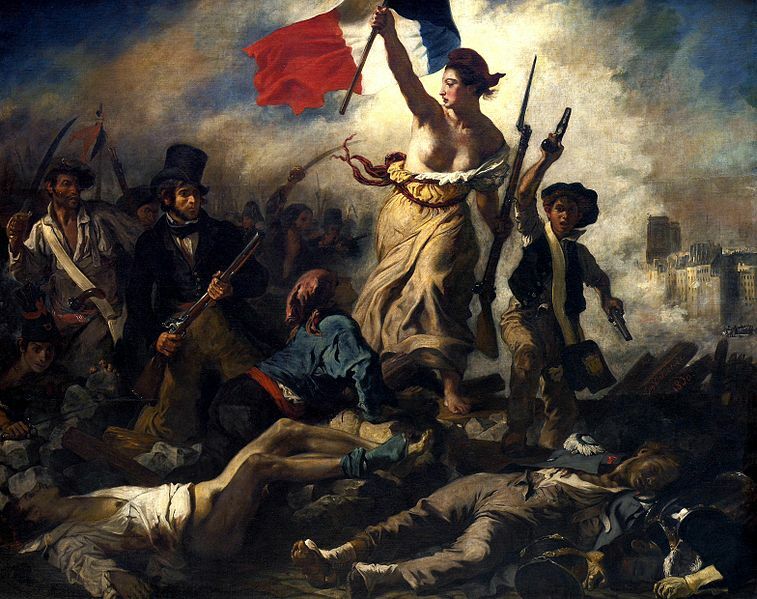 The first was Laurent de Brunhoff’s depiction of Celeste as “Liberty Leading the People” the immortal work of Eugene Delacroix’s masterpiece (La Liberté guidant le peuple) which has so many reverberations of the human pursuit of liberty and justice. This is the classic “barricade” scene depicted so poignantly in Victor Hugo‘s Les Misérables and the young boy on the right may be the inspiration for the loveable character of Gavroche in the novel. Having just finished reading this wonderful work with the girls in preparation for our trip makes the painting all the more memorable. De Brunhoff’s work follows and invites the young child to join in the sentiment of the passion for liberty that is nascent in the heart of young children whether they can conceptualize it or not. Delacroix’s work was also the inspiration for the Statue of Liberty, the gift of France commemorating the friendship of the two countries in 1886. 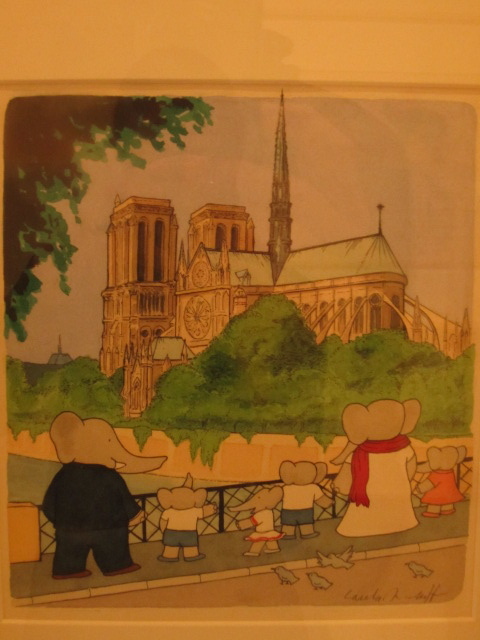 And finally, as Katie and I have had the privilege of doing some research on Notre Dame de Paris, the Gothic cathedral at the center of so much of French history and culture, we were delighted to see that Babar also recognized the importance of this icon of French faith and devotion. Here Babar and his family visit Notre Dame from the vantage of the Pont de l’Archevêché, which we’ve enjoyed many times on our tramps around this wonderful City of Light! Hope you enjoy our travels with Babar and all! À bientôt“! The ancient Greek, Strabo (c. 64 BC-24 AD), is credited with writing the first complete book of geography, in the years that Augustus Caesar reigned as emperor of the vast Roman Empire. Because travel was difficult in the ancient world, and most people, with the exception of merchants and sailors, rarely traveled far from the homes of their birth, knowledge of the world was very limited. But with the reign of peace brought about under Augustus, Strabo changed all that when he traveled extensively in what was then the known world. He traveled throughout Asia Minor, into Egypt to the border of Ethiopia, into Tuscany, and many other parts of Europe. 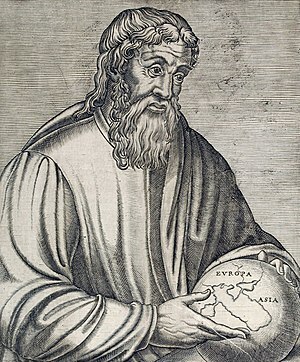 What Strabo’s Geographica did was to combine the knowledge of the land and topography of regions with anthropological information, which proved invaluable to all future students of history, philosophy and science. Strabo’s Geographica demonstrates the importance of travel to having a broad and informed knowledge of the world, its peoples, customs, and beliefs. The notion that travel expands us in good ways is summed up in Mark Twain’s maxim: “Travel is fatal to prejudice, bigotry, and narrow-mindedness.” While this is a worthy goal and often desirable in youth, when responsibilities are few and freedom is possible, travel is an option to any and all who simply open the pages of a good book. Indeed, it might be stated that by traveling extensively through literature, one is truly prepared for the lessons of life one will meet in future far-flung places. 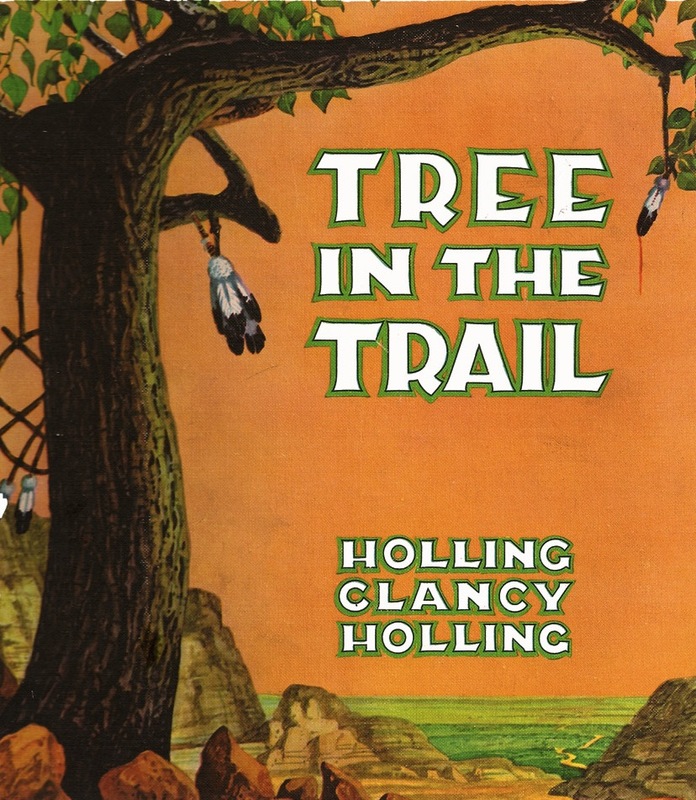 An award-winning children’s author who understood the importance of literature and travel to inform his youthful readers about the beauty and wonder of the natural world, was Holling Clancy Holling (1900-1973). 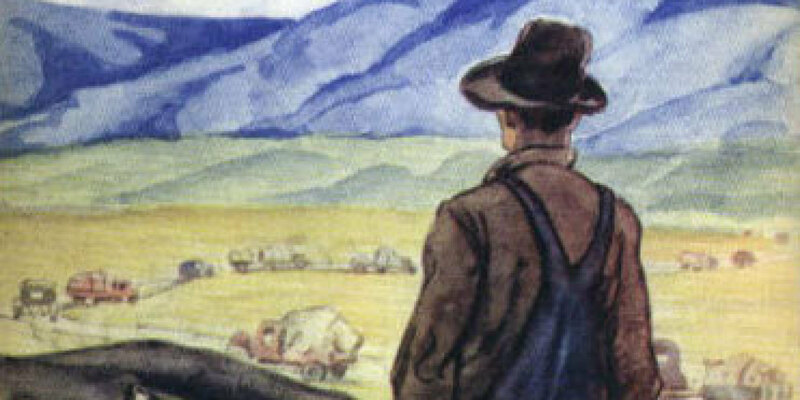 His most popular books created a new genre of children’s literature­–the geo-history. But in these books, the travelers are not human, but are creations of the author’s imagination. 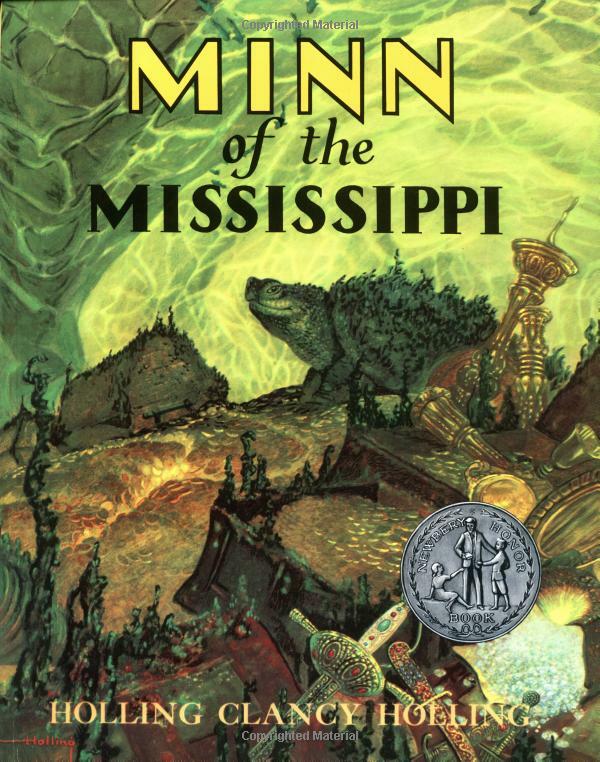 Holling understood how central the element of adventure is to his audience, and so he created anthropomorphic1 characters that readers can identify with–a tiny Indian canoe, a lone cottonwood tree on the Great Plains, a baby snapping turtle, and an ivory bird–carved by a young sailor. By following their travels, readers learn painlessly important facts of history, science and geography. Holling’s most well-known work is titled Paddle-to-the-Sea and is the story of an Indian boy who carves a tiny canoe with an Indian figure, which he names Paddle-to-the-Sea. 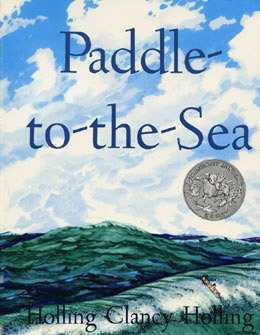 He inscribes upon the bottom, “Please put me back in water, I am Paddle to the Sea.” (image here) The boy then places the canoe at the headwaters to the Great Lakes, where it will eventually follow the currents, tides, and winds though each of the Great Lakes, and finally to the Saint Lawrence River and out to the Atlantic Ocean. The genius of this work, is that in following the intrepid adventures of this tiny canoe, the reader learns all about the history, geography, ecology, and industry of the majestic Great Lakes. Paddle barely survives a trip through a sawmill, a fishing net, a vast forest fire, and a fall over Niagara Falls; but he is also the object of care and kindness of many human characters he encounters along the way. He also sojourns for some time in a marsh, a pond, and passes through the giant locks of Sault Ste. Marie. As befits his noble Indian character, the tiny passenger is always brave, stoic and undaunted. In Tree in the Trail, the author creates an intriguing story around a young cottonwood sapling growing up on the Great Plains long before the white man “discovered” these areas. Nurtured and protected by a young Kansas Indian, the tree grows to become a symbol of significance for the Indian tribes–Kansas, Sioux, Pawnee, Comanche and Dakota, that seek shelter in its shade and ascribe meaning to its survival. Detailed and lavish illustrations reveal the way of the life of the buffalo hunting tribes, their customs and beliefs. Eventually Spanish conquistadores, French trappers, and then American frontiersmen pass by, each leaving a mark of some kind upon the tree. While wildlife build nests, rest, and take shelter under the tree, lonely frontiersmen leave messages for the folks back home at this “post office”. This beautiful panorama of life over a period of 200 years, is told with authenticity and warmth. The tree is eventually struck by lightning, dies, and is chopped down to make a yoke to travel the Santa Fe Trail. Now the tree that had been rooted so long, is free to travel and discover the world of the wild, wild West. In Minn of the Mississippi, a baby snapping turtle hatches out of its protective shell at Little Elk Lake, Minnesota­, one of the headwaters of the Ol’ Miss–little knowing it will eventually travel a long and winding journey to the Gulf of Mexico–over 2500 miles away. At just a tad over an inch long, the tiny snapper is vulnerable to hungry crows, mischievous boys, and ravenous pickerel, fishing for a tasty snack. These dangers prove nearly fatal for the little turtle, and though she manages to survive, she does so minus one rear leg, shot off by a careless boy shooting at crows. Thus begins the intrepid adventures of Minn, who, in the course of her travels will encounter raccoons, mink, otter, muskrats, beaver, and a host of other river creatures. Minn will live in a river that has been witness to thousands of years of history from the ancient Indian Mound Builders, to numerous American Indian tribes, to frontiersmen of French and American stripe, and to Civil War soldiers transported upon this watery highway. Minn will encounter every conceivable mode of river transport, and the various types of men and women that ply these waters. Minn will learn that this river is ever-changing its course, carving, cutting, creating, new paths for itself, while wiping out and forever burying its past under layers and layers of mud. 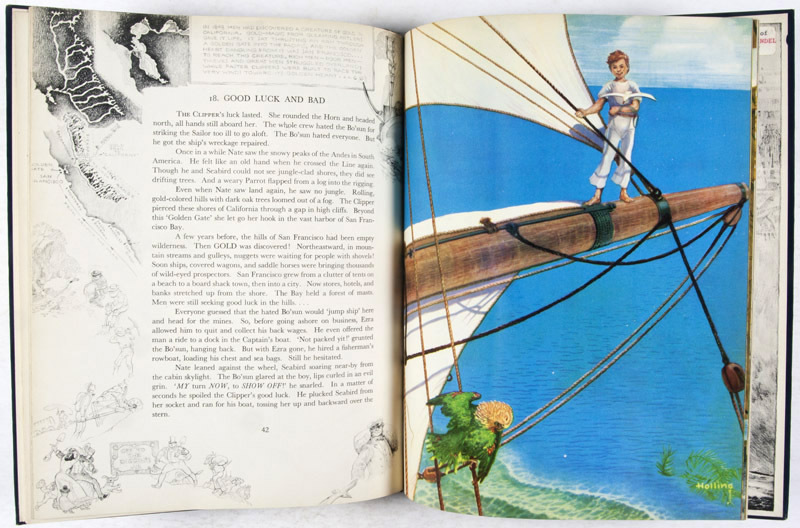 In Seabird, a ship’s boy named Ezra at watch on an 18th century whaler, when the sudden uplift of a seagull in flight alerts him to a dangerous iceberg dead ahead. The boy’s gratitude to the seabird for saving the ship from almost certain destruction inspires him to carve an ivory seabird as a mascot for the ship and crew. This seabird travels the Seven Seas with Ezra as the crew seeks out the lucrative whale for the oil and other commodities necessary to life in that day. For mates aboard a whaling ship, life is not only a traveling adventure, but the pursuit of whales is a deadly hair-raising challenge in itself. Ezra learns firsthand the heart-stopping fear of a Nantucket sleighride, the terror and power of being high in the rigging during a raging storm “South of the Line” and the tedious boredom of life at sea for years on end. But Ezra also experiences the azure beauty of the islands of the South Seas, the exotic sights and sounds of Chinese ports, and the magnificence of the earth’s largest living mammal–the whale. The story of Seabird traverses three generations of seamen­–Ezra, his son Nate, and his grandson Jim. In the course of their lives, the sea and the ships that ply her, change from the seagoing whale ship, to the swift and sleek merchant Clipper ships, to the age of the steamship. Seabird is handed down through these generations, a symbol of the courage of those “That go down to the sea in ships, that do business in great waters; These see the works of the LORD, and his wonders in the deep”2. 1. An anthropomorphic character is an inanimate object, a plant or animal, who has been given human characteristics and qualities. 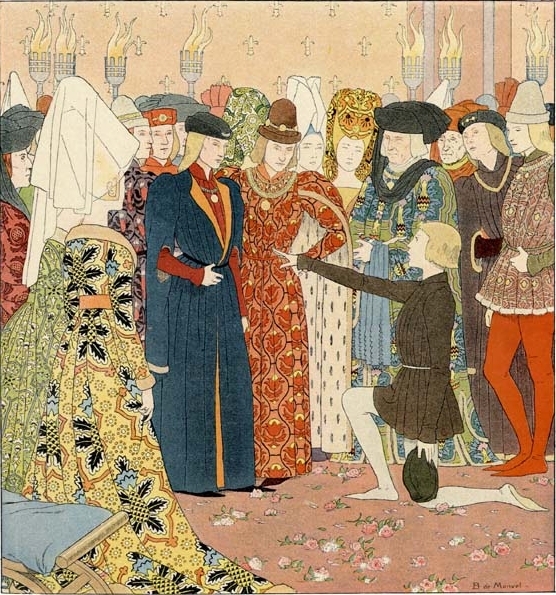 This literary technique is often used in children’s literature to enable young readers to identify with a particular creation or character invented by the author. Many of you know that I authored a study guide and maps for teaching geography and history using the well-loved Holling Clancy Holling classics Paddle-to-the-Sea, Tree-in-the-Trail, Seabird and Minn of the Mississippi. My friend and former professor, Anita Silvey, has written a delightful biography of Holling Clancy Holling in honor of his birthday, today August 2. I think Holling’s books will be more dear to you than ever after reading Anita’s lovely tribute to Holling on her Children’s Book-A-Day Almanac, which you can access here. I highly recommend subscribing to her blog for those who are as enamored with children’s books as I am, and are always eager to learn more! What Holling Clancy Holling seemed to understand intuitively is how children learn. Children learn when their senses are completely absorbed, when they are alive and intrigued. By perfecting a beautifully crafted story, infusing it with important facts (things children need to know about history, science and geography) and then bringing it fully to life in gorgeous art, the minds of children are respected, nurtured and engaged. This is the gift that Holling Clancy Holling gave to us and to the world through his work. And Holling’s approach, I think, is what Sir Ken Robinson makes an appeal for in his book Out of Our Minds: Learning to be Creative. I am just about half way through this, and will post some more when I’ve finished his intriguing and inspiring book! 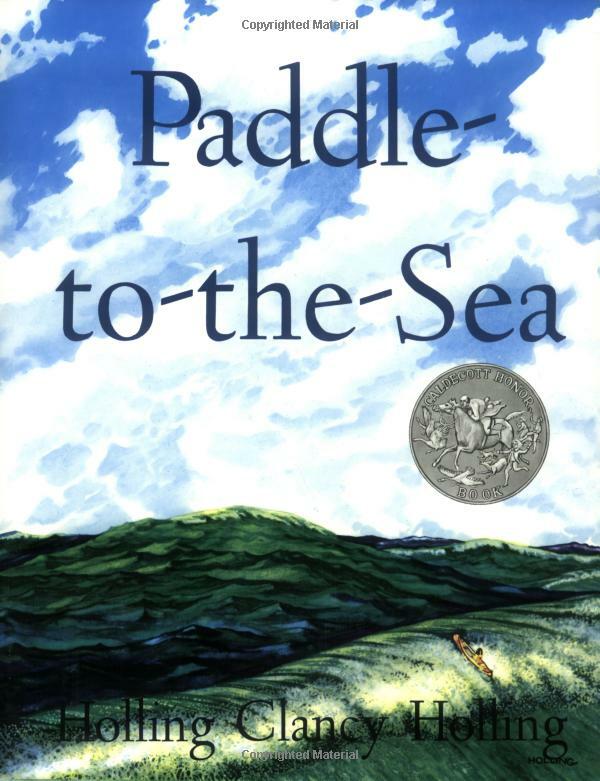 In the meantime, pick up one of Holling’s classic works, sit down with a son or daughter and enter the beautifully crafted world of Paddle-to-the Sea, Seabird, Tree-in-the-Trail or Minn! You’ll be happy you did!